QUARTER ANKLE SOCKS: Available in an assortment of colors and color combination, each pack comes with 12 pairs of awesome cotton ankle socks for men. These men ankle socks are great for various activities including running, jogging, biking, exercising, or working out. MENS ANKLE SOCKS: These athletic socks look stylish with sneakers and are very comfortable for daily wear. A 12 pack at such a cheap price would mean that you would never run out of ankle socks. Choose from solid colors or colored heel and toes. ANKLE SOCKS MEN: Great for all seasons, whether you’re jogging in the fall, walking in the spring, going to the mall in the summer, or doing at the working out in the winter, this bulk pack of socks are for multipurpose and multi-season use. 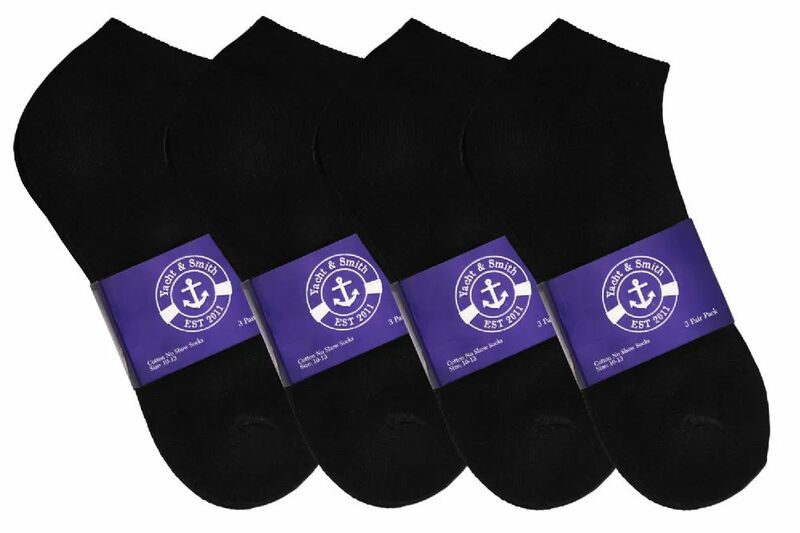 MENS ATHLETIC SOCKS: Cushioned and moisture wicking, these socks allow your feet to breathe and stay cool. Cushioned for durability and added comfort. Made with 80% cotton, 15% polyester, and 5% spandex. Size 10-13 will fit mens shoe sizes 8-13 (US). Get in fashion with these athletic socks for one low price.